Bo Burnham is a successful comedian, but please add feature-film director and writer to his impressive resume! In “Eighth Grade” – which played on the 2018 Phoenix Film Festival’s closing night – he drags his audience back to that awkward school year in childhood history that most would like to forget. Elsie Fisher plays Kayla, the unfortunate soul dwelling in the purgatory between preteen innocence and young adulthood, and Josh Hamilton stars as her supportive dad. Burnham’s hilarious, emotional and perceptive comedy offers plenty of heart, and it arrives in Valley theatres on Friday, July 20. To help celebrate “Eighth Grade”, here are five great female-led teen films! 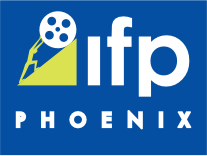 This is Part 1 of a 3-Part series, because on July 27 and Aug. 3, the Phoenix Film Festival will publish “Five memorable troubled-teen films” and “The five funniest teen comedies”, respectively. So, feel free to get up early, catch the bus, arrive before the first bell, and read about new, indie and classic teen movies. 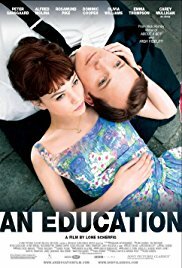 “An Education” (2009) – “I’d be careful, if I were you, Jenny. You don’t know who you’re dealing with.” Jenny (Carey Mulligan) – an extremely bright high school senior and only child – studies for hours each day to hopefully land a spot at Oxford, but she receives an altogether different education, when a 30-something man (Peter Sarsgaard) finds interest in her. In complete command of her craft, Mulligan – who earned a much-deserved Best Actress Oscar nomination - offers a moving and nuanced performance of a girl enjoying her sudden and premature push into adulthood while eagerly shedding her current responsibilities. Mulligan and an all-star cast - including Alfred Molina, Olivia Williams, Rosamund Pike, Dominic Cooper, and Sarsgaard – pour themselves into their characters and help us ignore familiar storylines, so we can solely learn about Jenny’s dueling life-pathways. “Juno” (2007) – Ellen Page, writer Diablo Cody and director Jason Reitman form a formidable driving force of cinematic wit and wonder in their modern-day classic about a teenage girl’s unexpected pregnancy and her decision to become a surrogate. Through Cody’s Oscar-winning script, Juno (Page) bathes in sarcasm and usually splashes constant barrages of adult questions and retorts towards everyone in her path, with little self-awareness of her naïve – but admirable - core. For instance, Juno repeatedly refers to her unborn baby as “the thing” and speaks like her nine-month expedition will whip by like recess on a Friday afternoon. Then again, reality and its accompanied emotions catch up with her. Well, the picture’s catchy, Bohemian soundtrack matches eccentric visuals, smart writing and colorful characters to add frequent comedic touches to lighten the obvious gravitas. Juno’s solid support system makes her trying experience easier than most pregnant teens’ predicaments, but then again, it’s just a movie…an exceptional one. “Pariah” (2011) – “Whenever the bird with no feet flew, she found trees with no limbs.” – Audre Lorde. These words open writer/director Dee Rees’ (“Mudbound” (2017)) insightful picture, and over the course of the 86-minute runtime, Alike (Adepero Oduye) tries to find that elusive footing. Frustrated, she feels trapped between expressing her sexuality and coming out to her loving - but traditional - parents, Audrey (Kim Wayans) and Arthur (Charles Parnell). Set in New York City, Alike – a straight-A student - gives her folks no problems with her schoolwork, but she routinely breaks curfew and refuses to wear dresses and girlish clothes that her mom picks out. Audrey and Arthur suspect/know the truth, but spoken candor is in short supply. Rees offers plenty of tense family drama in close spaces in the big city, while Oduye’s portrayal of Alike’s brave, uncertain flight soars with authenticity. “The Edge of Seventeen” (2016) – Seemingly always sporting a sky blue, polyester winter jacket, a skirt and mod basketball sneakers, Nadine (Hailee Steinfeld) forms her own counterculture revolution of one and rages against the system…with a passive-aggressive approach. Her spouting surge of self-pity has been building for years but explodes when her best friend (Haley Lu Richardson) begins dating her brother (Blake Jenner). Unfortunately, Nadine believes that the Game of Life handed everyone else hotels on Park Place and Boardwalk, but sent her to jail where she cannot pass Go and collect 200 dollars. Woody Harrelson is a breath of fresh air as Nadine’s history teacher and passes along sage advice, when she stops teasing him about his low salary and receding hairline, of course. Writer/director Kelly Fremon Craig does not retreat from genuine high school troubles and sidesplitting one-liners, and Steinfeld shows natural gifts in conveying both. “Thoroughbreds” (2018) – “We’ll do it ourselves.” Teenagers Amanda (Olivia Cooke) and Lily (Anya Taylor-Joy) decide to take matters into their own hands, but what will they do exactly? Plan a Sweet 16 party? Prepare for the SAT without a study guide? No, they agree to murder Lily’s stepdad! Cooke and Taylor-Joy share sinisterly satisfying, on-screen chemistry, when Lily starts speaking honestly to Amanda, an admitted sociopath. Amanda carries a sorted history, but Lily begins to follow her lead, as this brand-new wrecking crew of two bullies a small-time drug dealer (Anton Yelchin) into executing their dastardly scheme. Then again, the girls are not that depraved, because Lily’s stepdad really is a horrible jerk. Writer/director Cory Finley creates an odd, twisted nobility in each character, as they deliver their own corrosive, hypnotic truth, accompanied by the filmmaker’s equally compelling camerawork. Sadly, this hypnotic dark comedy/crime drama is Yelchin’s last big screen appearance.